Be in touch with your conference audience and improve the success of the event. You can extend the features & functionality in your customised app in future if you want to explore more. This feature doesnâ€™t come up with a ready made script. This Event Booking System Software will serve as an attractive medium for people to search for Event Managers on the website. 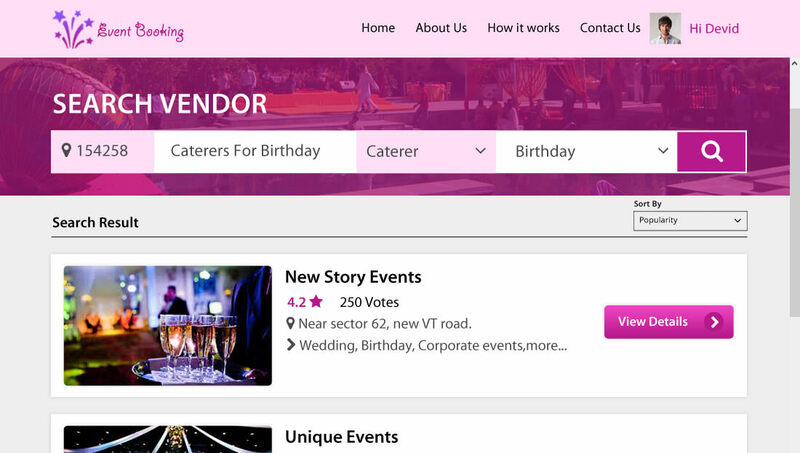 People can search for Event Vendors according to their location and category. Customers will be able to see the list of vendors as per the criteria defined by them. With the help of our on demand online event registration software, they can go through any of the vendor's details that they prefer from the listing. Customers can also create their own event and share it other people using their email. 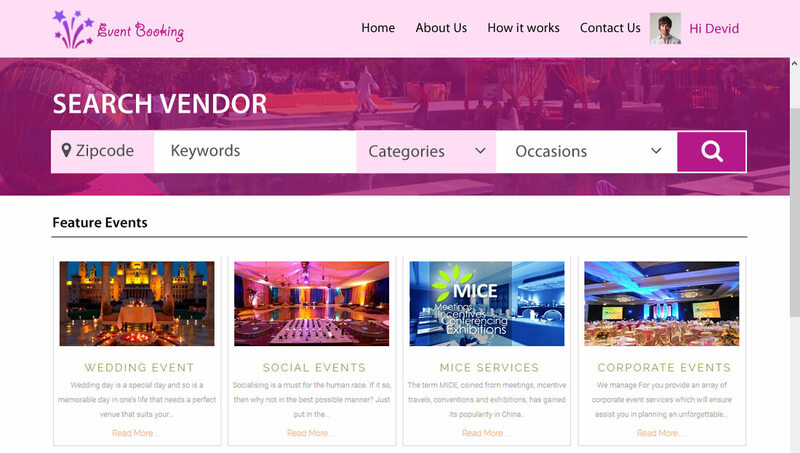 Event booking website development allow vendors to set up and manage their â€œStoreâ€� over the website by uploading products/service in different â€“ different categories in their account. 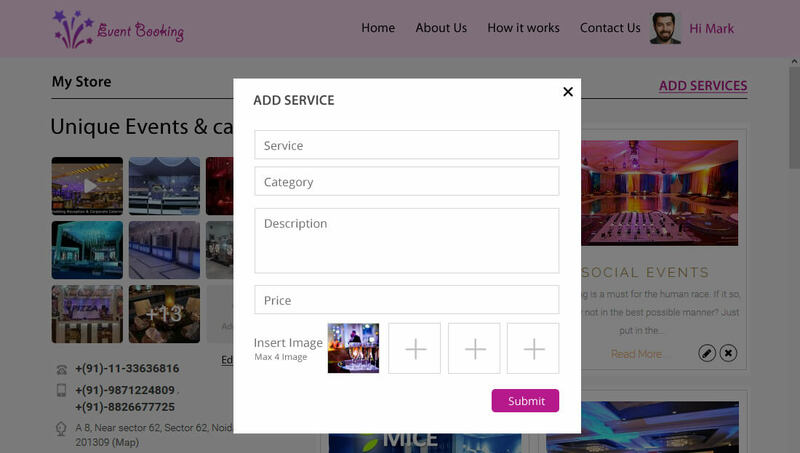 While adding their services vendors can put them into proper categories and upload images to display their work to their potential customers. Vendors can upload their contact information at event registeration system so that customers can contact them for services. Users can search for vendors on website by vendor name, category, location(zip code) and Occasions. User/Vendor will be able to manage their basic personal information like name, birthday, email, password. Vendors can manage products/ services in their â€œStoreâ€� and will be able to add/ edit/ update/ delete them. 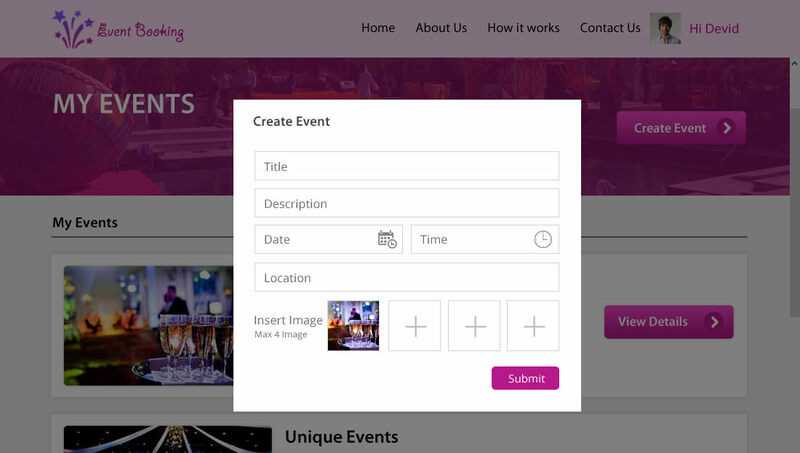 Customer can create events and manage events that they have created, they will be able to update them. Customers can see the vendor list defined by his criteria which includes details like title, category. 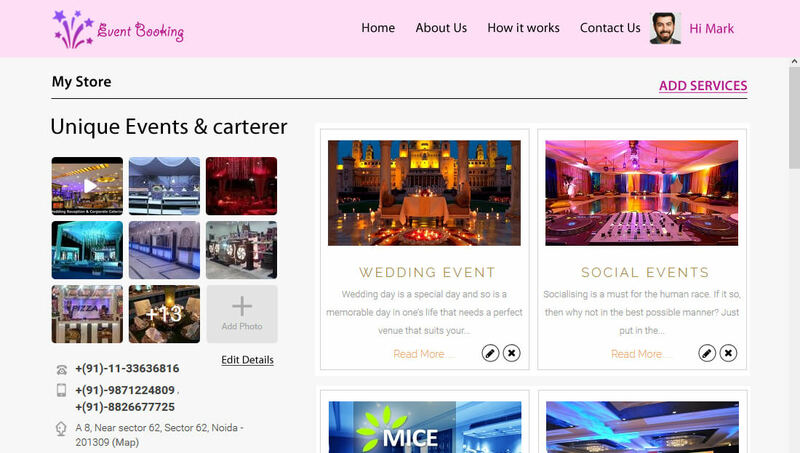 Customer can view details like his store name, pictures of his previous work, services provided and more. Vendors can set up and manage their â€œStoreâ€� by uploading products/service in different categories. App idea starts with you. You came to us with your idea and itâ€™s our duty to convert your idea into business. We always give value to your idea. Your idea and our suggestion can give a birth to excellent solution to development. We analyze the market, design UI to deliver the great and effective solution for your business. R&D plays an important role when you start any business. Itâ€™s our duty to stand out from the competition. How can a customer search for products/services of vendors around his location? User can enter his zip/postal code in the website and all the products/services that are around will be listed to the customer. Can the Customer give rating to a vendor even if he hasn't purchased any services from them? Yes. Customer can give rating out of 5 even if they have not purchased the product from a particular Vendor. Customer can also write a review along with the rating. How many days it will take to implement the customization? Can a Vendor upload multiple products/services to the website? Yes, Vendors can add products/services in their â€œStoreâ€� along with multiple pictures to show their previous work. Can a vendor set up multiple store on the website? No. A Vendor can only setup one store in which he can upload multiple products/services. How can a customer create/manage an event? 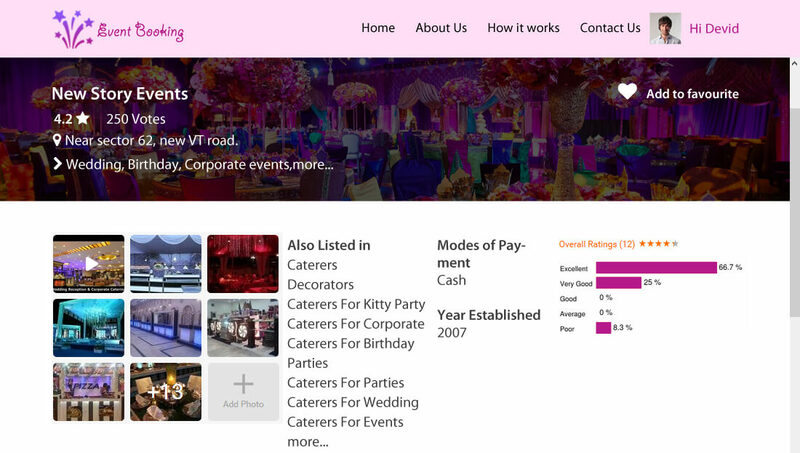 Customer can create events on website by providing the respective details of the event like Date, Time, Description, Event Location etc. They can also edit/update/delete the events and its details over the site.